Kobe will forever be remembered as one of the greatest basketball players to step on the hardwood. His killer instinct and basketball skill was visible as far back as high school. 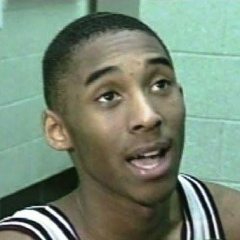 Below is footage of a 1995 match between Norristown and Kobe’s Lower Merion HS, where he absolutely took over the 3rd and 4th quarters to lead his team to the W.